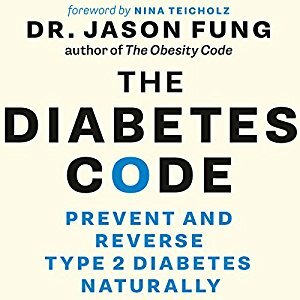 In my last article, I told you about Dr. Jason Fung and his new book, The Diabetes Code. I consider that book to be essential for anybody that has diabetes. It can honestly teach you how to get rid of diabetes. I know that it can because Dr. Fung taught me and I no longer have diabetes after 25 years. That 25 years included several brushes with death that were attributed to long-term diabetes. Don’t let this happen to you. This book is Dr. Fung’s third book, and his first two books are just as important. Let’s have a look at those. 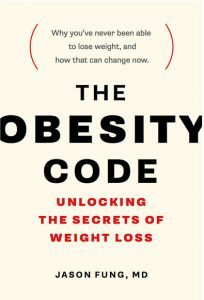 Dr. Fung’s first book was entitled The Obesity Code. Was I obese? Oh boy, was I ever obese! At the peak, I weighed in at 430 pounds. In fact, the only way I could weigh myself was by going to a freight scale on the loading dock at the local hospital. The nurse at the hospital told me that I was free to go use that scale anytime I wanted. 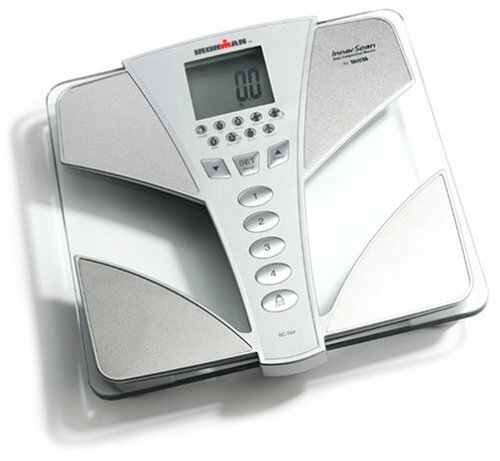 It was a cargo scale, but honestly, there was no scale in a doctors office at that time that could way a person at 430 pounds. Over the years, I lost some of that weight, having a stroke at the age of 39 was a real motivator, and pushed me to lose some weight. However, I still needed to lose a lot more weight. When I found out about The Obesity Code I started implementing what it taught me, and I experienced great success. In fact, it even helped me beat a disease that was supposed to be unbeatable, diabetes. That’s right, I no longer have diabetes. Dr. Fung’s second book is entitled The Complete Guide to Fasting. It is, again, a great book. If you are obese, if you have diabetes, or if you have insulin resistance, you need this book. This book can and will save your life. Believe me, I am not exaggerating. 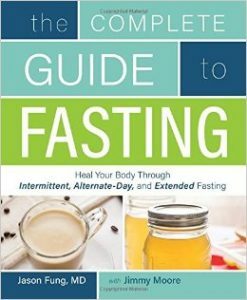 In The Complete Guide to Fasting Dr. Fung talks about doing intermittent fasting, and also extended fasting. He tells about his patients that he is treated at his clinic in Canada, and how those patients experienced great weight loss, reversal of diabetes and other medical conditions, and so on. It sounds unbelievable, but I decided to try it because I really had nothing to lose from it. I had already been on my deathbed several times, and I hope that I could avoid that happening again anytime in the near future. When I implemented Dr. Fung’s plan, all of my health problems went away quickly. My diabetes was gone. After having a heart attack in a quadruple bypass operation, my heart health was great. I no longer got diabetic blisters on my legs which could lead to death or amputation. It no longer took months for wounds to heal on my body. My blood sugar was very low. Frankly, I felt that my life had been saved, my health had been turned around, and I was about 30 years younger. It truly is a great feeling. So, if you are having health problems, if you are diabetic, or have just about any health problem, I highly recommend that you check out fasting. Check out, Dr. Fung. If you go to YouTube and search for him, there are dozens if not hundreds of free videos you can watch to learn about fasting and the great health benefits that you can achieve from it. Seriously think about checking out Dr. Fung’s books too, I am sure that they will change your life just as they changed mine. Start feeling better. Take control of your own health. Don’t just do what doctors tell you to do, do some research and learn what is the best way to beat the diseases that are hounding you. Don’t let somebody else be the captain of your ship, and direct your health. You should be the captain. It worked for me. I have begun the journey back to good health, Bob. I am cutting out the carbs, sugars and soda drinks. It isn’t easy but once you know what is a carb and what isn’t, it gets easier to pick them. Still hard finding food out on the street that doesn’t include pasta, rice, bread, potatoes or high in sugar, but it can be done. Today I didn’t have my two pieces of toast for breakfast, I had two eggs and some bacon and loved it. for lunch I bought some satay chicken sticks and left the rice it came with on the plate; just had the chicken (and sauce). Hi Perry. That is a great move! You have most certainly taken a step toward better health, and I am happy for you! Good luck on your journey, and I will be here to support you if you need it! HI Perry and Bob. I am now living in Angeles (no longer Cebu). I expect/hope my Son (Woody age 23) to go to work in Alaska in a few days. For many years I was pre Diabetic, or barely Diabetic. Recently I had a lot of Medical Diagnostic work done. My Blood sugar levels have Sky Rocketed to Dangerously HIGH levels. My HBa1c is now 16!!!! vs 6.6 last year! Fast Blood Sugar 24.85 vs 6.85 last year! Over the last couple of weeks I have been doing some research. I read the new book The Diabetes Code. Inspired by you Bob — and my son (who has been Intermediately Fasting) — I will see if I can be successful. HI Robert. Good to hear from you! Hope you are doing well. My HBA1C used to be about the same that your is now. These days… for the past couple years, it is 4.3. No diabetes anymore. It is not hard to do. Eat Keto and do some fasting! Your diabetes will go away! Hi James. Hmm… I have never thought of that. Upon consideration, just my opinion, I think that fasting could possibly make some progress on that. I don’t know if it would totally clear your arteries, but probably clear them up a bit. Do you know what level of blockage you have? I don’t think that Keto would do much more than stopping further progression, but longer term fasting would be possible, I think. I have been thinking about this and I think it is possible. I am going to do some research about this and write an article soon.